DAF Services, Inc. manufactures a full line of pump stations for irrigation, transfer, water features, and de-watering. DAF is a UL listed panel construction shop. Remote monitoring, control and reporting for any brand pump station anywhere, anytime from any web enabled device. 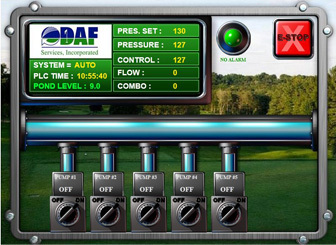 For over 15 years, DAF Services, Inc. has been considered the “go-to” company when it comes to golf course or landscape pumping systems, controls, and data management. With a staff with a combined experience of more than a century in the irrigation industry, DAF continues to be on the cutting edge of irrigation pumping requirements and solutions. Based centrally in Windsor Locks, CT, DAF stations and control systems blanket the entire northeast and large areas of the mid-atlantic regions. 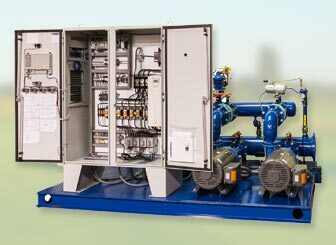 DAF specializes in custom pump and control systems designed to each individual customers needs. Our “CloudView” industry leading web based monitoring solution provides finger tip control and data retrieval from any web connected device. 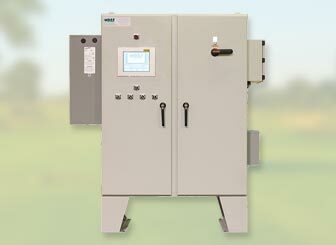 Please contact us and allow us to custom configure a solution to your pumping/data management requirements. ©2016 DAF Services Inc, all rights reserved.